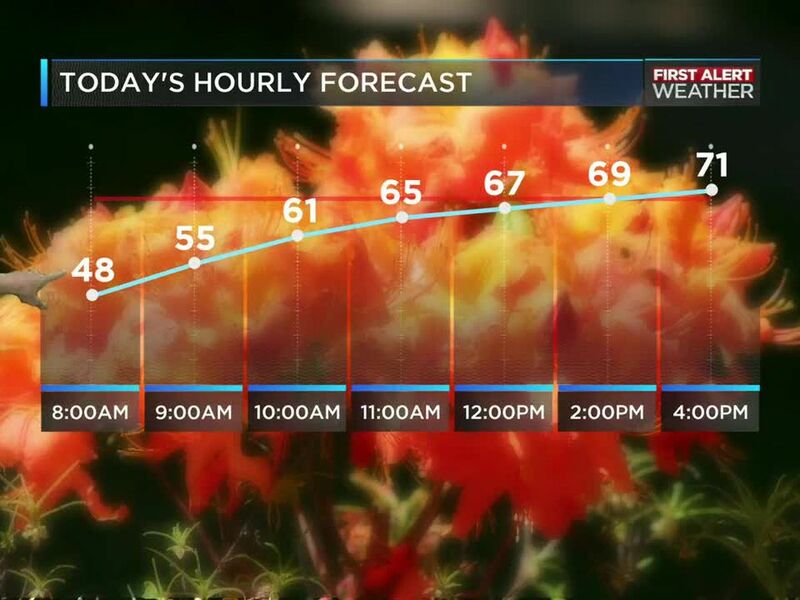 CHARLOTTE, NC (WBTV) - After our fourth straight day of cooler-than-average weather, day number five will greet you Wednesday with temperatures once again falling short of the seasonal averages. Morning lows will hover in the low 30s while afternoon highs will wind up in the upper 50s. Average high this time of year is 64 degrees. That will change Thursday which is the first full day of Spring as highs return to the mid 60s. Thursday is also the only day this week with a realistic chance of scattered showers across our region. Beyond that, more sunshine will grace our skies and the temperatures will respond as we forge ahead into the weekend with afternoon highs in the low and mid 70s. Enjoy this first taste of Spring! Temperatures bolted into the mid 80s Tuesday with more bright sunshine blazing away! That’s a solid 10 degrees above the averages for this time of year.